Heavy copper rearing horse pendant is hand made in the USA. It measures about 1 1/4" tall and is stamped on the back with the artist's mark. 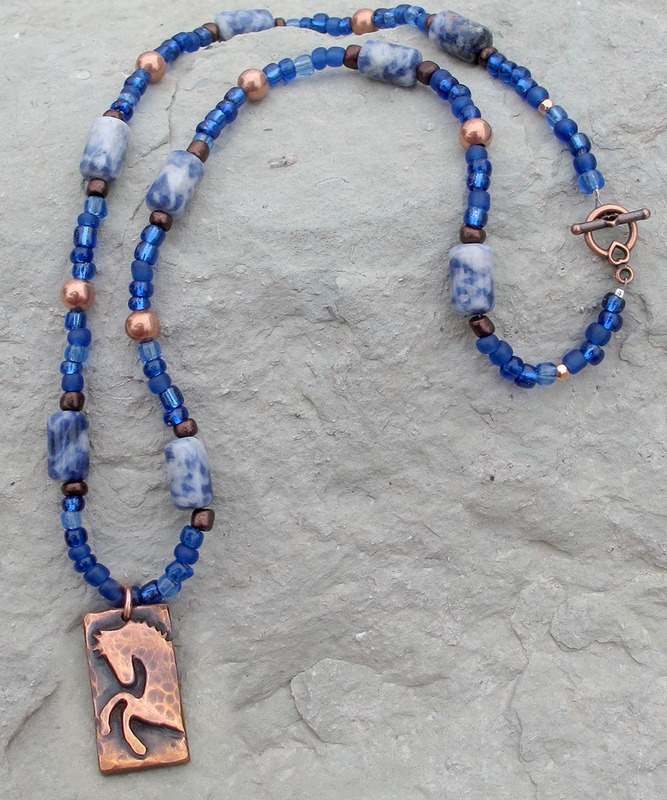 Hand strung gemstone, copper and glass beads - 18" with copper toggle clasp.